President Donald Trump confirmed that a U.S. military strike in Yemen last week killed Jamal al-Badawi, an al-Qaeda operative believed to be involved in the deadly 2000 attack on the USS Cole. Add Al-Qaeda as an interest to stay up to date on the latest Al-Qaeda news, video, and analysis from ABC News. Trump tweeted on Sunday that the U.S. military had “delivered justice for the heroes lost and wounded” in the attack. The U.S. military later confirmed what the president tweeted. “U.S. Central Command has confirmed that Jamal al-Badawi was killed in a precision strike in Marib governate, on Jan. 1,” said Captain Bill Urban, a spokesman for U.S. Central Command. 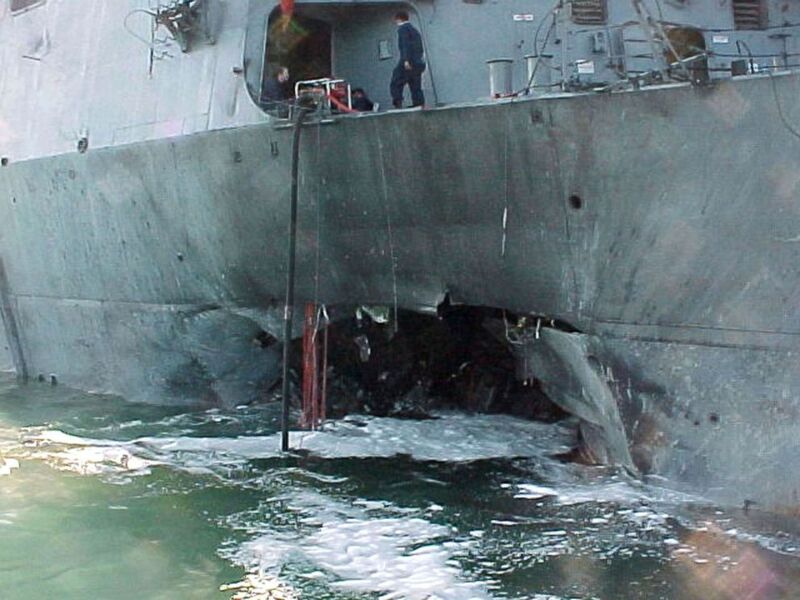 The port side of the guided missile destroyer USS Cole was damaged after a suspected terrorist bomb exploded during a refueling operation in the port of Aden in Yemen, Oct. 12, 2000. On Friday, Urban had said Central Command was assessing the results of the strike after news reports emerged that al-Badawi had been killed in the strike. “U.S. forces confirmed the results of the strike following a deliberate assessment process,” said Urban. Al-Badawi had been wanted by the U.S. for his role in the deadly Oct. 12, 2000 boat attack on the U.S. Navy destroyer that killed 17 American sailors and injured 39. In 2003, a federal grand jury indicted him on 50 counts of terrorism offenses including the murder of U.S. citizens and military personnel. The U.S. Rewards for Justice program offered a $5 million reward for information that could lead to his arrest. Al-Badawi had twice been detained by Yemeni authorities for his role in the attacks, but escaped from prison both times. He surrendered in 2007 but was released after cooperating in the capture of other al-Qaeda operatives. Abd al-Rahim al-Nashiri the alleged mastermind of the USS Cole attack is a detainee at Guantanamo, where he is still involved in the pre-trial process 16 years after his capture.